We'll help you save on Pafco Insurance! Not everyone has a perfect driving record. For those who require specialized auto insurance coverage or have had difficulty getting coverage from other insurance companies in the past, Pafco insurance is the way to go. Pafco is a leading provider in high risk auto insurance coverage in Ontario. For more than 25 years, they have provided drivers with specialized insurance products and personalized customer service when you need it the most. Whether you lack driving experience, have a few accidents on your record, have been convicted of a driving offense, or have had a lapse in car insurance coverage, you could have issues getting insured. Pafco is an ideal solution for drivers seeking to improve their insurance record and get back on track. 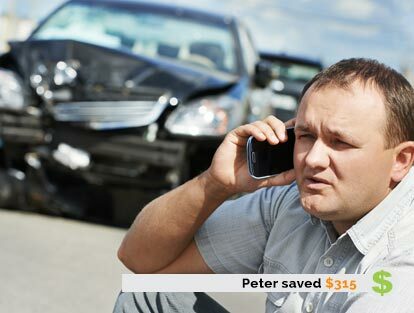 Why Choose Pafco High Risk Auto Insurance? Specialized auto insurance coverage : Whether you’ve had some bad luck, made a few wrong decisions, or have a less than ideal driving and insurance record, Pafco can help you get you back on your feet with its non-standard auto insurance coverage options. Community support : Pafco is a proud supporter of the United Way. They were awarded the 2012 National Employee Campaign for Companies with 300+ Employees. Competitive pricing : Even though non-standard insurance coverage is more expensive than traditional coverage, Pafco offers competitive rates, helping you get the best rates possible, considering your driving and insurance history. 24/7 Claims : Pafco’s claims staff provides 24/7 response. This includes preferred contracting service and repair programs, and high quality repair work with written guarantees on all work. If coverage exists, you will also be provided with alternative transportation while your vehicle is being repaired. Independent Broker model : Pafco works collaboratively with independent insurance brokers to provide customers with the best car insurance rates and coverage possible. Contact us today at 1-855-550-5515 and a ThinkInsure Broker will answer any questions you have about Pafco Insurance quotes and coverage. Getting insurance coverage can be difficult for drivers who have had issues in the past. Where other insurance companies are not willing to take the risk and insure these drivers, Pafco welcomes them and offers non-standard car insurance coverage to help these individuals re-establish their record of insurance while they clear up their driving record. Physical Damage to the Vehicle : Pays for damage to your vehicle. Types of coverage include comprehensive, collision, all perils, and specified perils. Having trouble getting car insurance coverage? Contact a ThinkInsure broker today toll-free 1-855-550-5515 to get a Pafco Auto Insurance Quote and learn more about non-standard car insurance coverage. Saving money and lowering your insurance rates is a top priority for drivers under a high risk car insurance policy. One way Pafco helps out is through My_BRIDGE – a new technology that is specifically designed to help you save money on your auto insurance rates. Save up to 30% on your car insurance rates. It won’t increase your insurance rates. All data collected is confidential. Ready to get your car insurance record back on track? Get a Pafco car insurance quote today with ThinkInsure. 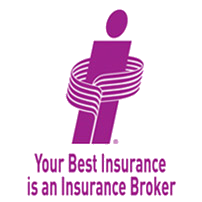 Our brokers are ready to help you re-establish yourself and save on insurance.